We first introduced Chiidax last month. 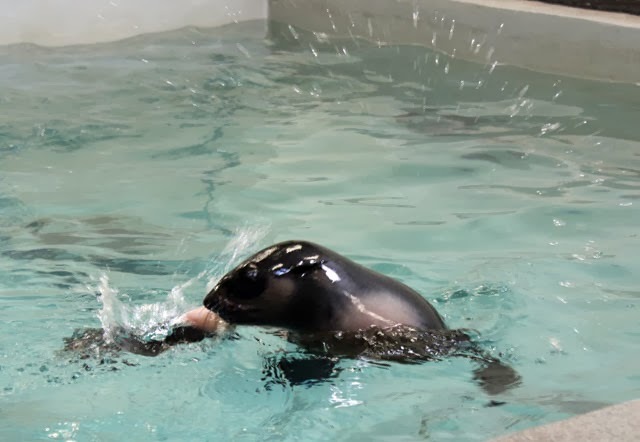 The Northern fur seal pup had been left in a box on the doorstep of an Alaskan Fish and Wildlife office—underweight and dehydrated. Not knowing where he came from or how to find his mother, Chiidax was hand raised by rescuers. He arrived at the Aquarium's off-site holding facility late last year. 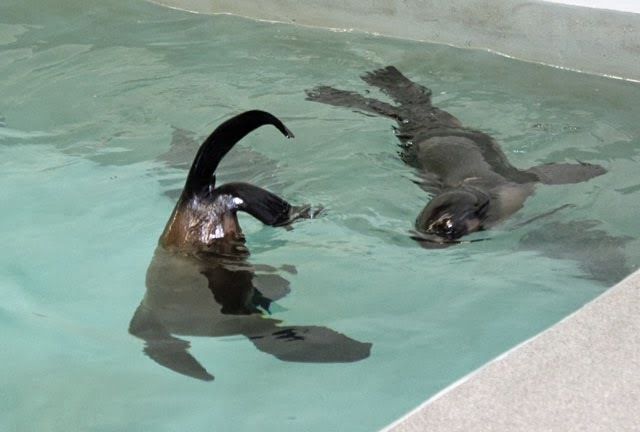 After a brief quarantine period, Chiidax moved to a behind-the-scenes area at the Aquarium so he could start meeting the other animals in the exhibit. First member of the welcoming committee: Kitovi! Trainers weren't sure how Chiidax would react. It was the first time he'd seen another fur seal since he was a week old! 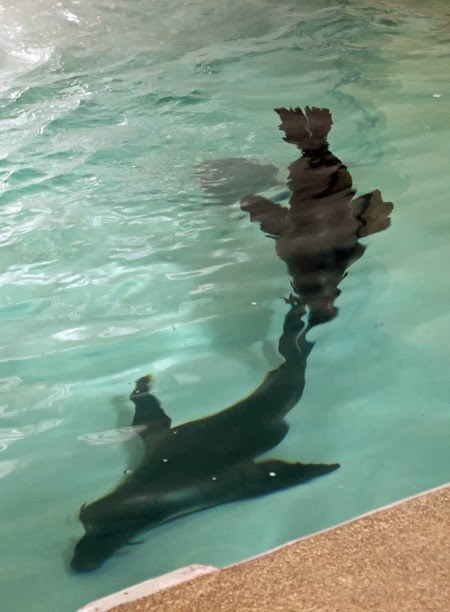 After an initial moment of curiosity when the pair went nose to nose, they took to the water soon after and swam and played and got to know each. 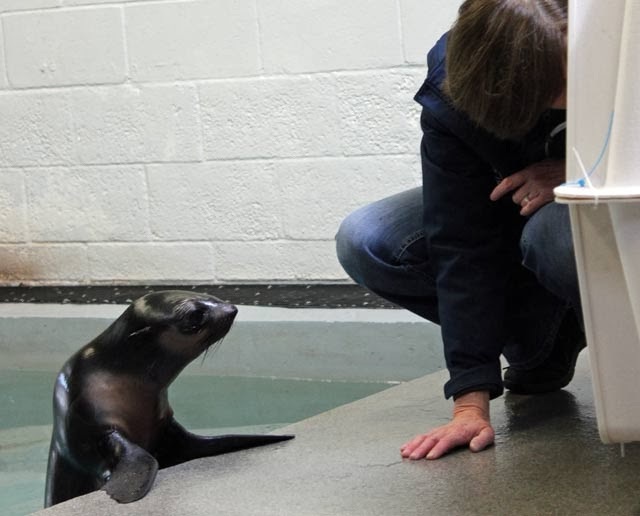 Chiidax will remain behind the scenes for a while now while he's introduced to the other members of the marine mammal center. But you can come by and say hi to the rest of the youngsters! 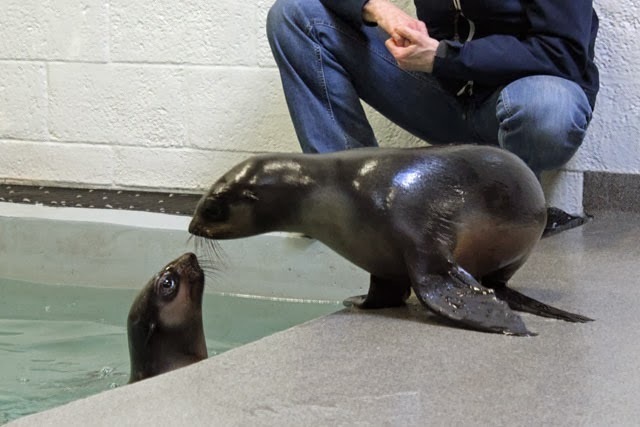 Meet the fleet of frisky pups at the Marine Mammal Center!